A series of Wagner operas and the great state of Texas?! Can the two mix? Sounds crazy, right? Well, Spotlighters Theatre‘s latest contribution to Baltimore theatre, Das Barbecu, with Book & Lyrics by Jim Luigs and Music by Scott Warrender, proves that it can be so. Directed by Greg Bell, with Music Direction by Michael Tan and Choreography by Jillian Bauersfeld and Greg Bell, Das Barbecu manages to take Wagner‘s complex four-part Ring Cycle opera and make it just a little more accessible and (some would argue) more interesting and fun for audiences not so versed with the classics. Now, this isn’t to say that Das Barbecu is a dumbed-down version of the Ring Cycle, but more contemporary and in-tune with today’s audiences. The story, characters, and message is still in tacked, only now it has a charming Texas drawl. The intimate, in-the-round space at Spotlighters would usually be a challenge for a show like this with its multiple locations and, well, they say everything is bigger in Texas, but Spotlighters has a lot of experience putting big shows up in this small space and Set Designer Alan Zemba used his space very wisely. With simple yet creative set pieces, Zemba manages to take the audience from the garden of a palatial mansion to a vast ranch, to bedrooms, then to a bar, then to the top of a mountain, then to a barbecue (whew! ), all with minimal set pieces. Not only was the set creative, but it is easy and practical enough for the stage crew to get on and off quickly. I will say, however, there were a few scene changes that seemed a bit longer than usual, but all in all, the stage crew had razor sharp, rehearsed precision and the set worked beautifully with the piece and certainly helped tell the story. Adding great value to this production is Costume Design by Andrew Malone. There are so many characters in this piece played by only five actors, Malone does an impeccable job making each character absolutely individual and memorable with simple, yet noticeable wardrobe changes. An actor can play up to five characters, but, because of the character costumes, it is easy to distinguish each character, which is invaluable with this involved, twisting story. Major kudos to Andrew Malone for his creative and flawless design. With the space being as intimate as it is, Light Design by Al Ramer is simple, yet very befitting to this production and did not impede but enhance the action onstage. The lighting is well thought-out and sets the proper mood for each scene helping move the story along. Moving into the production aspect of this piece. Choreography by Jillian Bauersfeld and Greg Bell is fun and very appropriate for this piece and the space in which it is performed. The dancing is tight and entertaining and adds to the production rather than takes away from this piece. Also, the actors are comfortable with the choreography and perform it confidently and with high energy making it enjoyable to watch. 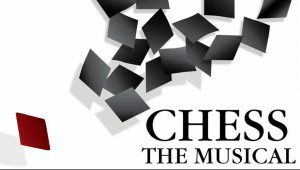 Baltimore theatre veteran Music Director Michael Tan does not disappoint in this production. He manages to take his small cast and have them harmonizing and blending beautifully to bring this story to life. Some songs are funny and some poignant, but whichever mood, under the direction of Tan, the actors seem to understand what these songs are about and perform them accordingly. It helps that the most of the ensemble is already strong, vocally, and Tan uses this to his advantage making for a very impressive showing. Directing 5 actors to play 26 characters can be quite a challenge for any director, experienced or otherwise, but Greg Bell takes on this challenge and executes his impeccable skill. It is important for whomever takes the reigns of this piece to completely understand the story of Wagner’s complicated Ring Cycle and Bell seems to have a tight grasp and his vision for this piece is apparent and well put together. He excels in blocking his actors to keep the story moving smoothly and at a near perfect pace. Though, as an audience member, I did have to do my part by paying attention, but the story was presented to me clearly and I wasn’t scratching my head or asking questions during intermission or after the performance. Das Barbecü is another well-done project from Greg Bell. Jim Gross, a.k.a. Actor 4, takes on the role of Woton, Gunther, Hagen, a Texas Ranger, and a Giant and, according to his bio, is back after a year hiatus from the stage. He gives an admirable performance having to take on so many characters and keeping each an individual through not only costumes, but mannerisms and physicality, as well. His Texan/Southern accent could use a bit more work as I don’t hear much of one throughout and his solo number “River of Fire” does fall a bit flat for being so early in the second act. However, he does hold his own commendably against the other strong actors in the ensemble and his performance is to be applauded. lend very nicely with the ensemble and shine through in her solo number “County Fair.” Kneebone is a joy to watch and I look forward to experiencing her future work. Rob Wall is no stranger to the Spotlighters stage, also having been last seen in Tick, Tick… Boom! Wall takes on the responsibilities of Actor 5, performing the roles of Siegfried, a Norn Triplet, Milam Lamar, Alberich, and a Giant. Taking on what could be considered the lead male role, Wall gives a very enjoyable, strong performance. His gorgeous, booming voice resonates throughout the theatre but he blends well with the ensemble, filling out the sound beautifully. He is able to separate each character he plays and give them each their own respective lives. He understands his characters and works hard to bring them to life. He has a great command of the stage and seems quite comfortable and natural in his roles and this is another great performance from Rob Wall. Allison Comotto is Actor 1 and takes on the roles of Gutrune, a Norn Triplet, Freia, Y-Vonne Duvall, a Rivermaiden, and a Valkyrie. She, too, is a veteran of the Spotlighters stage having been last seen in Zombie Prom. Comotto is a busy bee in this production but she is certainly a highlight with her spot-on comedic timing and natural acting chops that make her characters very enjoyable to watch. Vocally, she’s strong and is able to hold her own in the harmonies and blends well. Not to beat a dead horse, but her comedic timing is absolutely flawless. Her character, Y-Vonne Duval (actually pronounced WHY-vonne), a high society Texas wife who knows all the gossip in town, is just plain hysterical. She’s comfortable on stage and has a very strong presence that makes one take notice. Her natural talents are a joy to watch and I’m looking forward to seeing more from Ms. Comotto in the future. Lastly, but certainly not least, Andrea Bush, who is most decidedly another standout of this production. Bush is an absolute pleasure to watch as she navigates through her characters as Actor 2, taking on the roles of Narrator, Fricka, Erda, Needa Troutt, Back-Up Singer, Katsy Snapp, a Rivermaiden, and a Valkyrie. For as many characters as Bush had to play, she transitioned seamlessly and gave each character an individual personality, displaying her on-point acting skills. Vocally, this woman has some strong pipes and her booming voice is an asset to this piece. In both her comedic and more serious numbers, she gave a strong vocal showing and found the feeling in every song through her performance. Her comedic timing is outstanding and she seems to understand all her characters and the story, allowing her to give an assured performance that adds value to this production. She’s defintiely one to watch. Final thought… much like the Looney Tunes made Wagner much easier to swallow (and introduced children and a lot of adults to the opera genre), Spotlighters production of Das Barbecu takes a complex, classic piece and makes it more accessible and funny. Wagner’s Ring Cycle is not a piece I am entirely familiar with, but now, should I delve into a performance of it somewhere in my journeys, I’ll have a better understanding of the story and will probably appreciate more than I would have going in blind. Who knew Texas and a Wagner series of operas would mesh so well together? Want another point of view? Check out what The Bad Oracle had to say! Das Barbecu will play through October 30 at Spotlighters Theatre, 817 St. Paul Street, Baltimore, MD. For tickets, call the box office at 410-752-1225 or purchase them online.